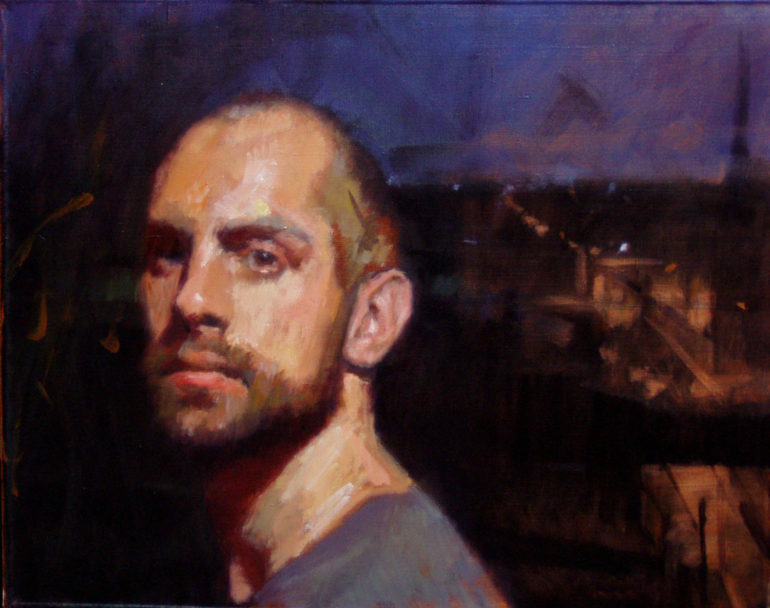 The purpose of this workshop is to study the building stages of creating a portrait painting from life. By following a basic process, we more closely examine each stage and its correlating visual principles. The first day, students will start with a one day study. Using a method called the ‘grisaille’ in order to capture the gesture and to study the proportions, anatomy and structure of the head. Then flesh tones are added to develop a fuller value range and begin building the illusion of light on form. The second day students will practice another one day study. This time a color study using a basic abstract color theory and an understanding of the color of the light source will be explored. This exercise will give us the color perspective. Finally, the last 3 days of the week will be devoted to a long pose where students will practice building their painting in preparation for the ‘finish pass’ which will also be explored toward the end of the week. In addition, we will study the use of edges, focal points, the concept of larger to smaller relationships, planar thinking, anatomical landmarks and paint handling. All stages will be demonstrated by the instructor in the mornings, along with individual attention at each student’s easel throughout the day. Students will leave with 3 paintings in total. Two shorter one day paintings exploring drawing and form, color; and a 3 day long pose where students will get to practice finishing the portrait. Students will also leave with a greater understanding of the building stages of a portrait painting from start to finish along with the correlating visual principles that are universal to traditional craft of portrait painting in oils. Studio Incamminati Instructor , Kerry Dunn will be conducting a three-hour painting demonstration on Tuesday, September 25th from 7 – 10 p.m. at the Heritage Center, 6110 Blue Stone Road NE in Sandy Springs GA 30328. The demo is free to workshop participants and also to the Portrait Society of Atlanta members and $30 for non-member /general public.